Living with and mitigating chronic pain is too often a complicated and frustrating process, whether the underlying pain stems from an injury, autoimmune disease, or other conditions. For many people with complex causes, pain may endure for years. Because traditional physical therapy often fails to produce the symptom improvement that a patient seeks, it is vital to consider other options for managing and preventing chronic pain. Open your mind and body to new types of movement, track how you feel, and realize an invigorating boost towards achieving your healthiest self. Before experimenting with new styles of movement therapy, it is beneficial to readdress the basics. Two essential processes that often get overlooked are breathing and stretching. Breathing is the only autonomic physiological function that we can voluntarily control, making it a unique target for conscious control, meditation, and therapy. The problem is that most people have no idea whether they are breathing incorrectly. There seems to be a common misconception that “vertical breathing” (with neck and shoulders rising vertically upon inhalation) corresponds to deeper breathing. As we move away from this misconception, we can train ourselves to breathe more optimally. To practice breathing optimally (“horizontally”), start by sitting up straight and inhale through your nose. Pay attention to your upper abdomen – it should expand along with your chest, not your shoulders. Breathe slowly and fully in through your nose and out through your nose or mouth. Pilates is extremely popular today, and one of the core precepts of Pilates is proper breathing, using not only the chest and abdomen but the often-ignored muscles of the back of the rib cage. Various types of yoga (see below) focus on breathing as meditation and teach alternate breathing patterns, such as the Ujjayi breath of fire. Stretching is commonly associated with pre-workout warm-ups and increasing flexibility. Ballet, barre training and Pilates all incorporate stretches for suppleness and posture. Like breathing, stretching is an innate activity that can be performed with minimal training and equipment. Something as simple as mindfully stretching every morning and evening can improve sleep quality, as well as reduce stress, muscle pain, and joint stiffness. A key target of stretching is fascia, the densely-woven, soft tissue layer of the connective tissue system. Disruptions in fascia have been linked to various chronic conditions, such as chronic lumbar backache, fibromyalgia, rheumatoid arthritis, and many others. Dr. Robert Schleip, a leading researcher in the field of fascia and movement therapy, has discovered that many stretching techniques positively influence connective tissue and alleviate symptoms associated with joint stability and musculoskeletal pain. Additionally, specialists at Mayo Clinic have found that stretching is connected to stress relief, which is a major contributor to the symptoms of autoimmune conditions. Thus, stretching presents many benefits beyond increased flexibility. Through trial and experimentation, discover the combination of movement therapies that most effectively minimizes pain and leaves your body (and mind) feeling best. For those who have tried yoga, you have most likely encountered one of the variants of Hatha (physical) yoga, popularized in the US from the 1960’s-80’s. But there are many yogas: physical, mental and spiritual practices developed over many centuries in India. For example, yoga therapy, which emphasizes practices specifically to manage disease and improve health; pranayama, practices that harness breathing, and kundalini, which combines asanas, pranayama, mantras (sounds) and visualization techniques. With so many different types of yoga to choose from, you can alternate between more physically demanding options and relaxing, meditative styles. The mind-body practice of Tai Chi stems from ancient Chinese tradition, combining martial arts exercises and meditative practice to achieve harmony of mind, body, and spirit. This practice is finding a growing Western following. Although the practice of Tai Chi looks rather simple, it targets a variety of different muscles, so you may find yourself feeling sore the next day! 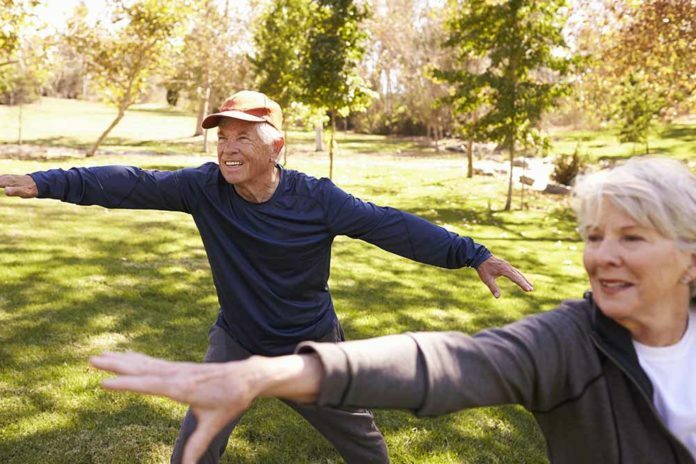 According to the Mayo Clinic, more than 2.5 million Americans practice Tai Chi to increase energy, stamina, flexibility, muscle strength and definition, and balance. The Feldenkrais Method has two approaches. Both use focused mindfulness and slow, gentle movements to retrain the body, but one approach is passive (performed by a practitioner on the student’s body), while the other is active (performed by the student). Most people start with a practitioner and then move on to more active practice as they master the techniques. The slow, mindful movements of Feldenkrais have been linked to improved posture and balance, reduced pain, elevated mood, and increased flexibility. In seeking to promote a culture of optimal wellbeing and reduce the startling statistics of chronic disease prevalence, we must embrace fearless experimentation, find joy in self-care, and keep moving. Together, we can create a new norm for healthier, happier selves and future generations. Discover more movement therapy options, from underlying research to expectations and potential benefits of each experience, by downloading @DrBonnie360’s ebook here. Everyone is different, everyone experiences pain differently. It would be great if this is all it took to take away debilitating pain. We need to quit being roped in together. Chronic pain is not only a physical condition, it can take a toll on your emotional health and well-being. It affects every part of your life, keeping you from enjoying your daily physical activities. Fortunately, physical therapy has been clinically proven to dramatically improve your body’s ability to function without pain.